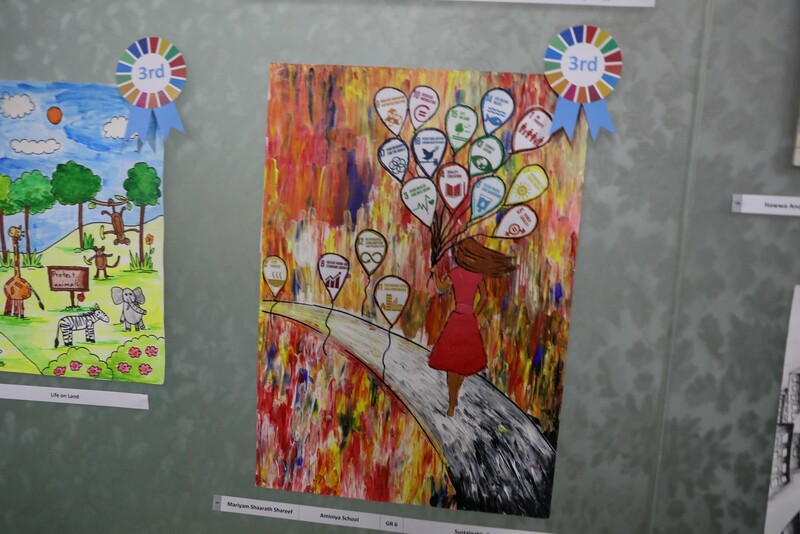 Prizes awarded to the winners of ‘SDG Poster Competition 2018’ at a ceremony held at Ministry of Environment and Energy. 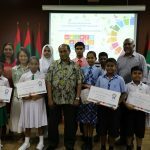 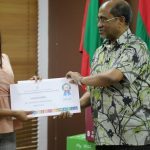 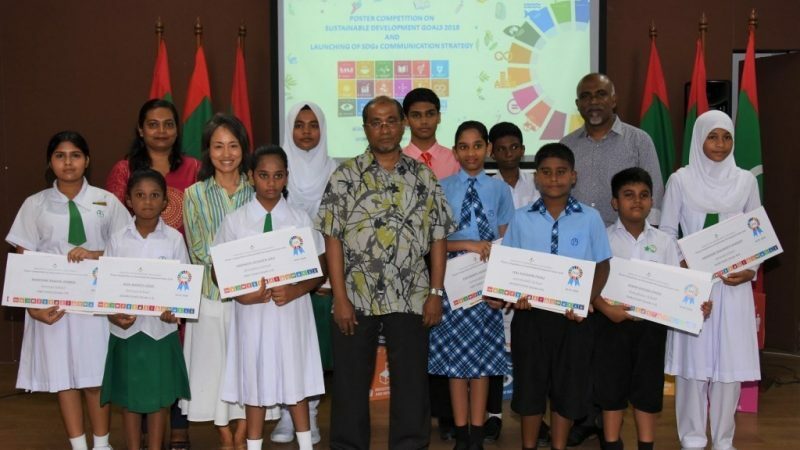 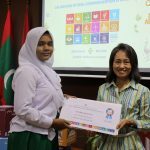 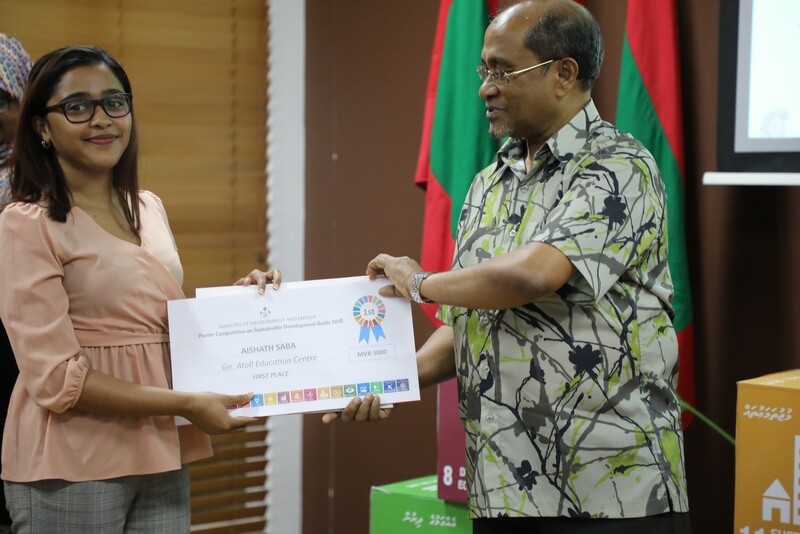 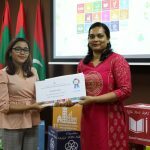 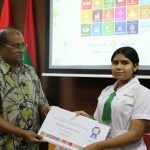 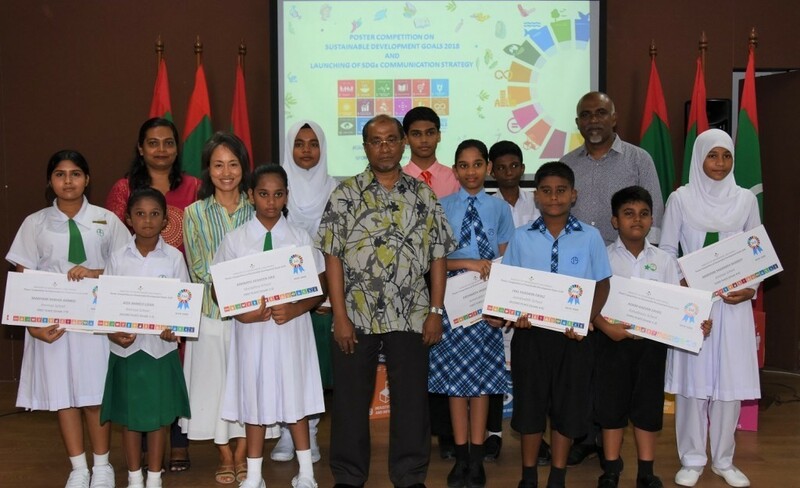 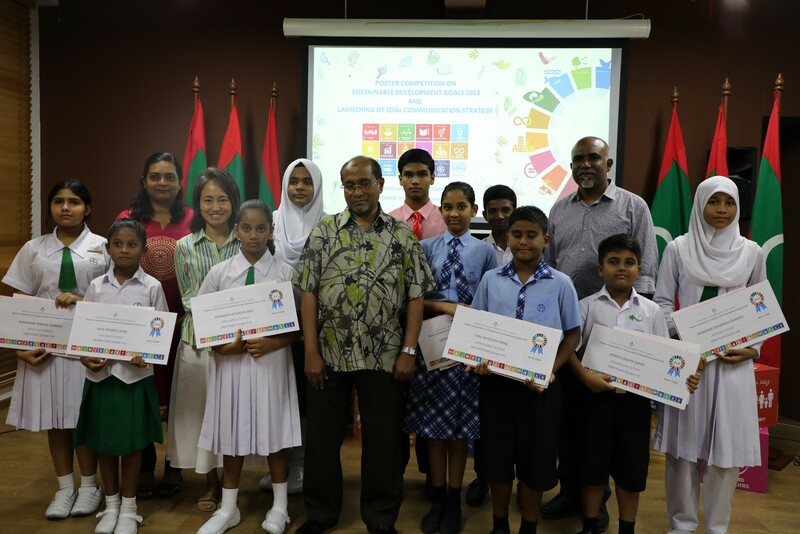 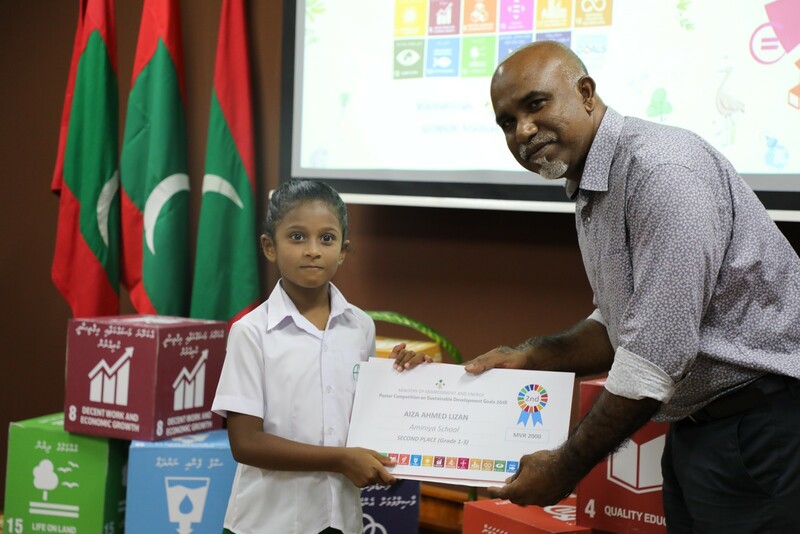 Certificates and prizes were handed over to the winners by Minister of State for Environment and Energy, Mr. Abdullahi Majeed, Minister of State for Education, Mr. Ahmed Shafeeu, UNDP resident representative Ms. Shoko Noda and Deputy Director of the Ministry, Ms. Aishath Saadh. 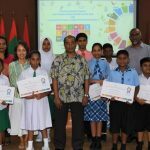 ment and Energy, Mr. Abdullahi Majeed. 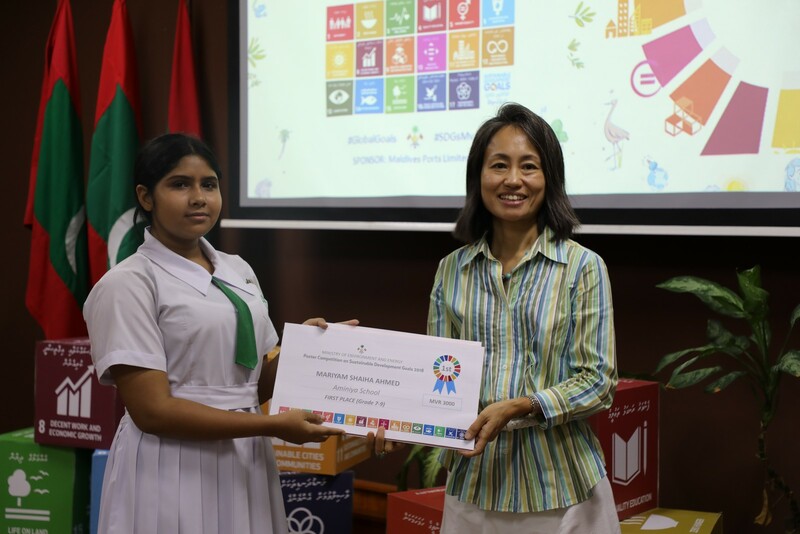 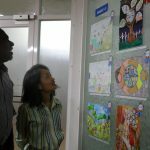 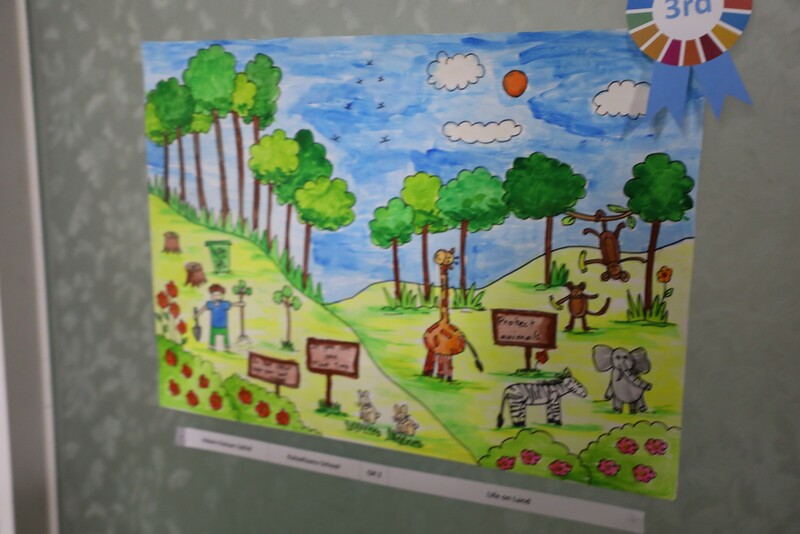 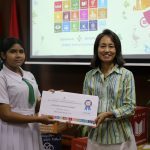 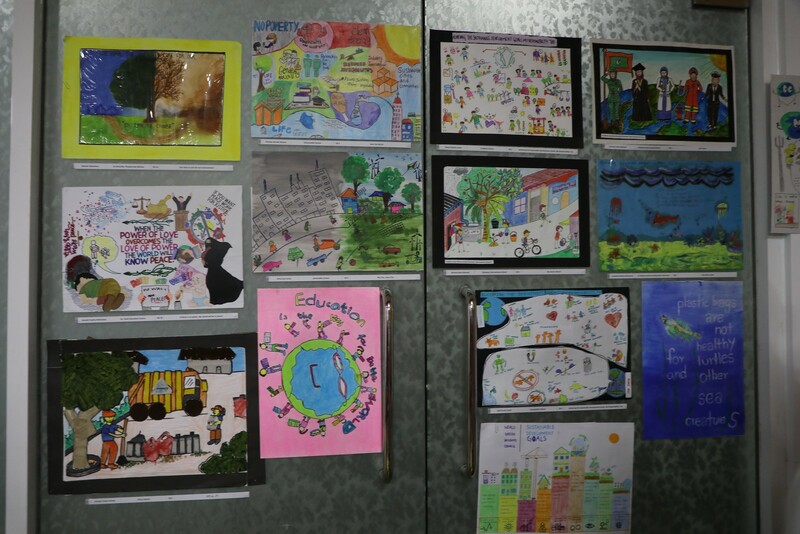 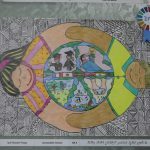 The objective of ‘SDG Poster Competition 2018’ was to create awareness among school students on Sustainable Development Goals (SDGs) and to give them the opportunity to express their views on SDgs in creative ways. 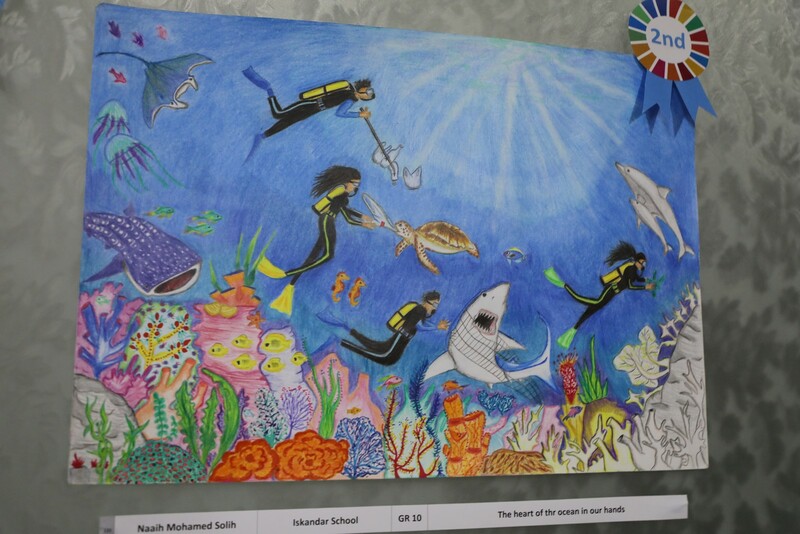 This competition was open for all the schools in Maldives. 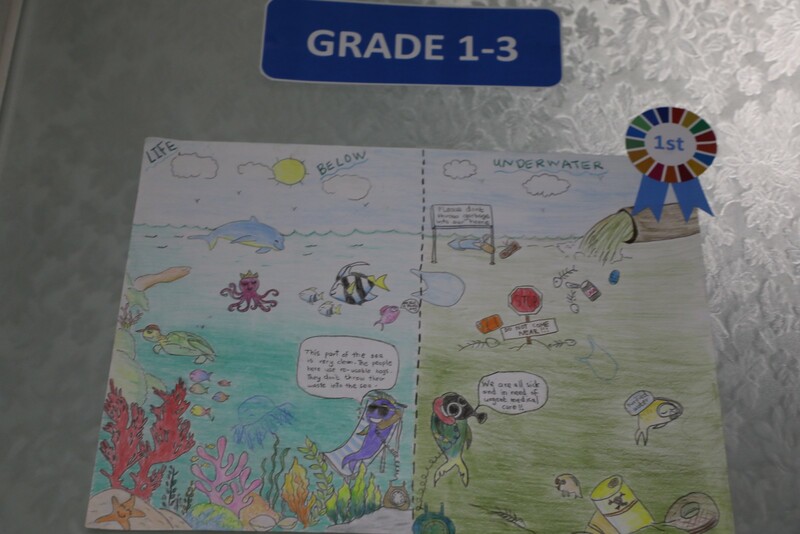 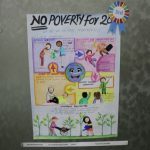 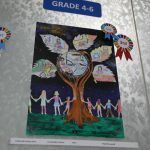 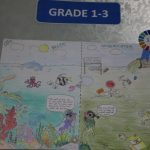 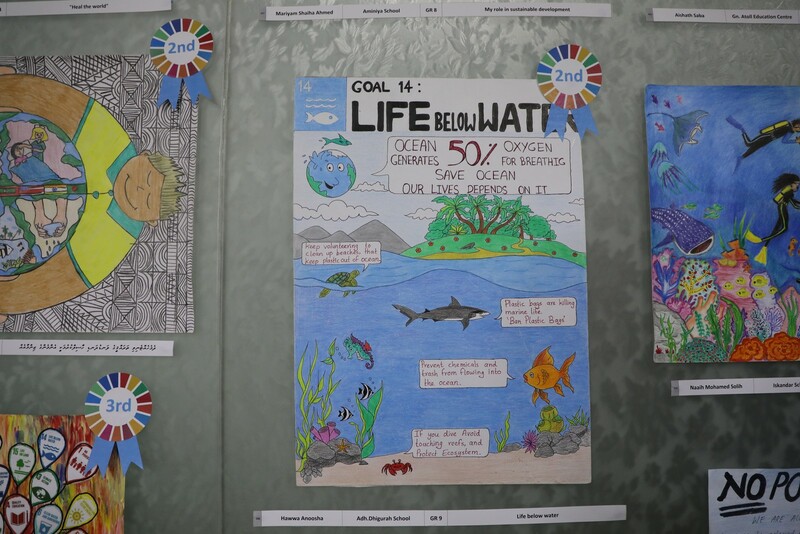 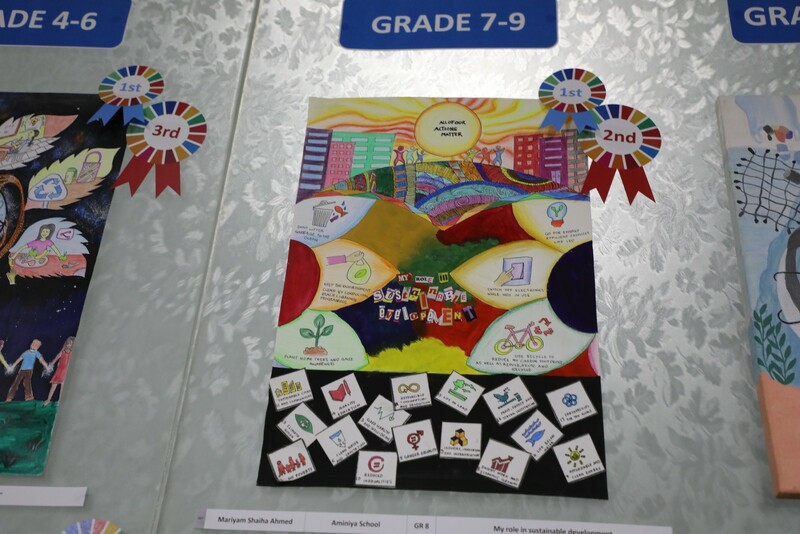 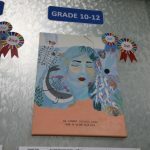 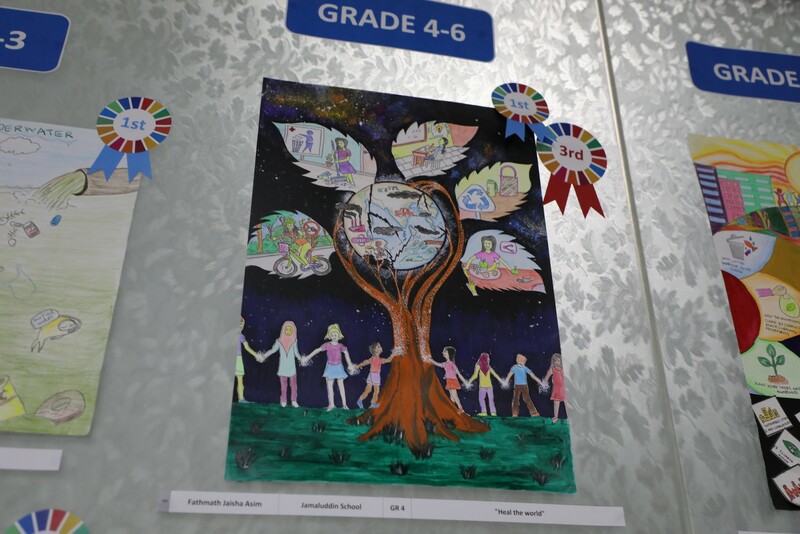 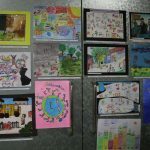 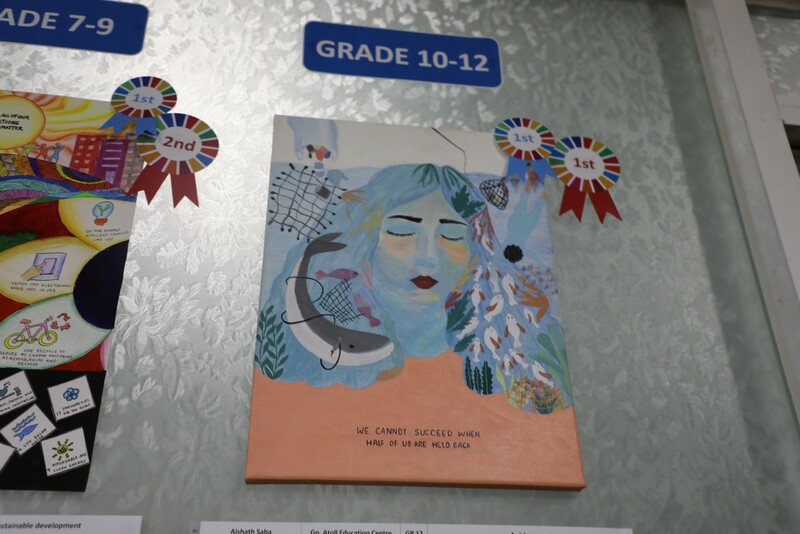 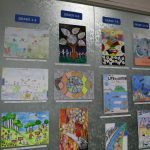 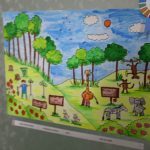 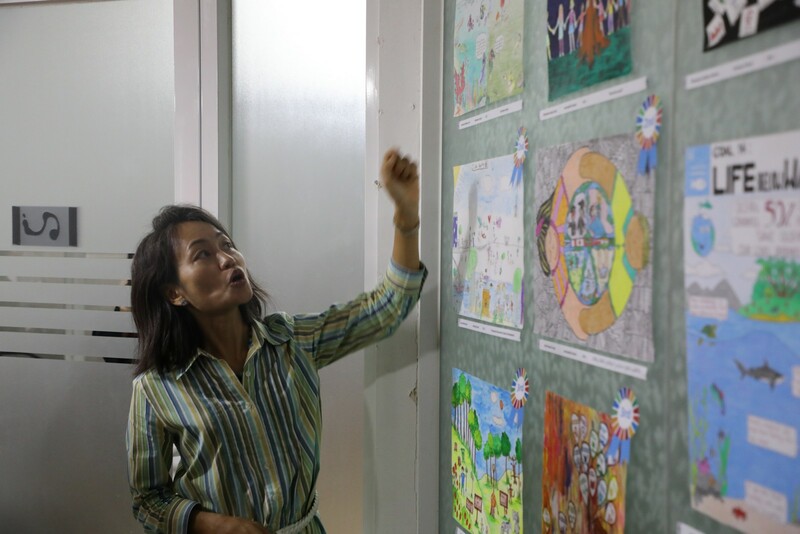 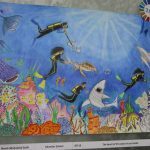 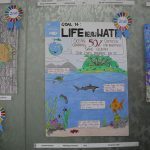 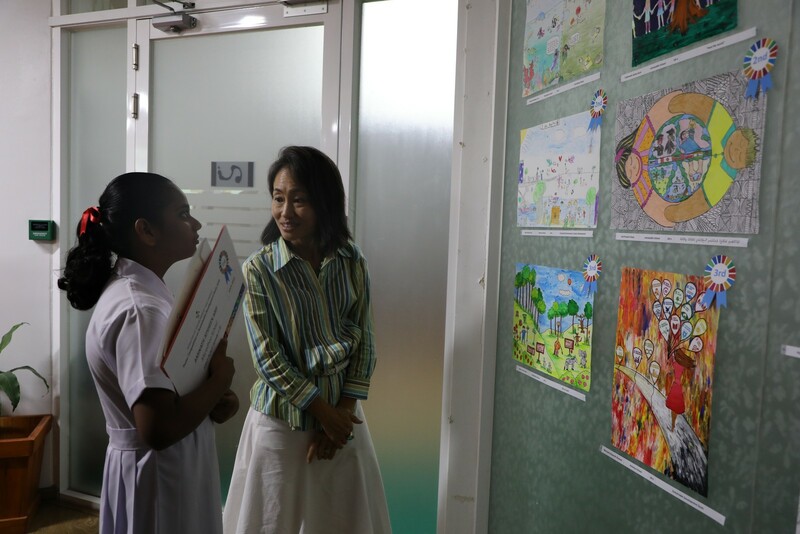 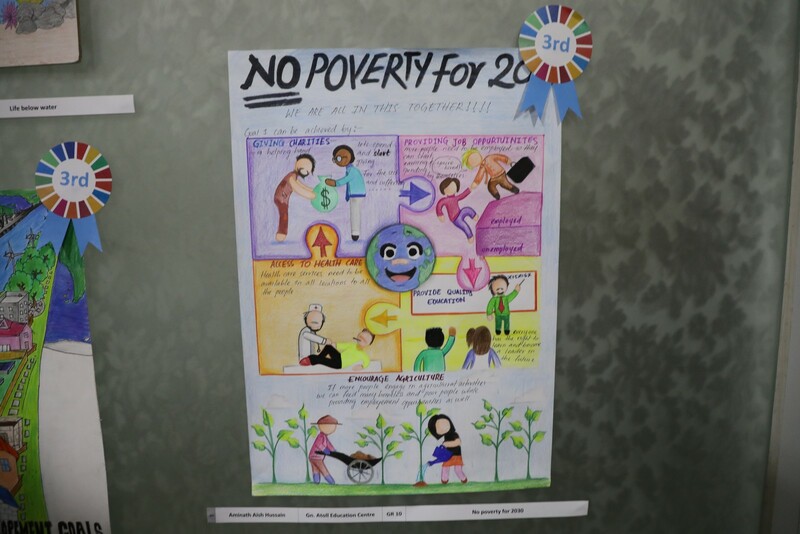 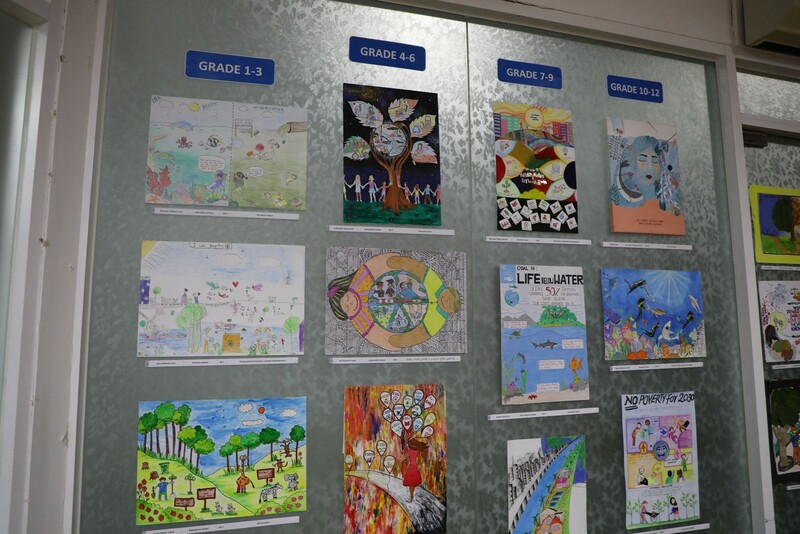 In this competition, more than 500 posters were submitted by 43 schools This competition was open for 4 categories; grade 1-3, grade 4-6, grade 7-9 and grade 10-12. 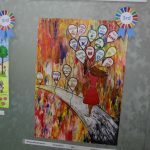 In each category prizes were awarded to the winners of 1st , 2nd, and 3rd place. 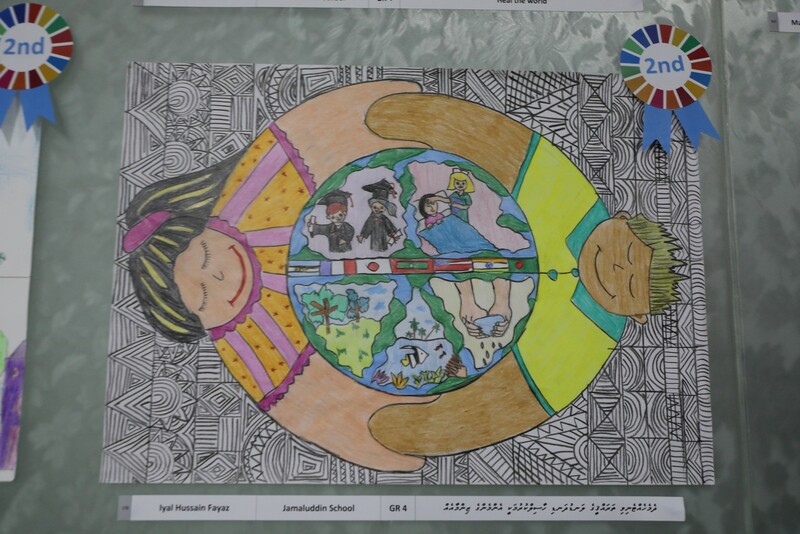 In grade 1-3 category, first place was achieved by the student of Maradhoo school, Aminath Afsheen Arif. 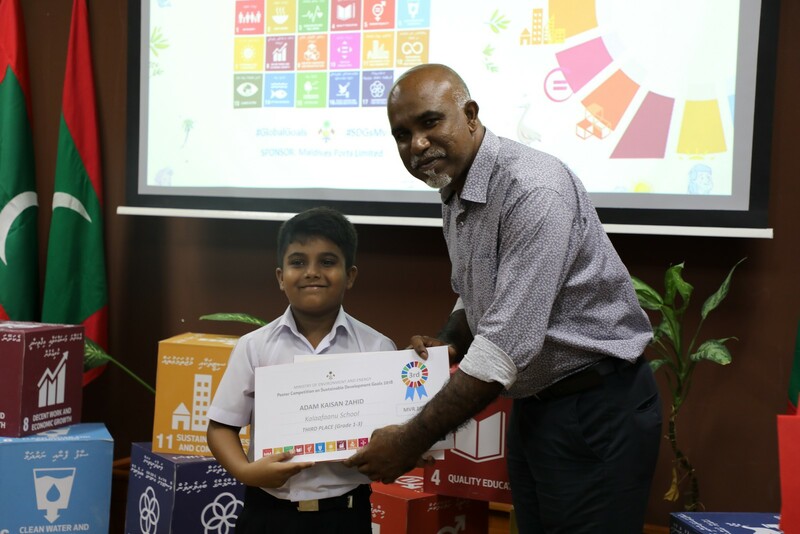 The second place was achieved by the student of Aminiyya school, Aiza Ahmed Lizan and the third place was achieved by the student of Kalaafaanu school, Adam Kaisan Zahid. 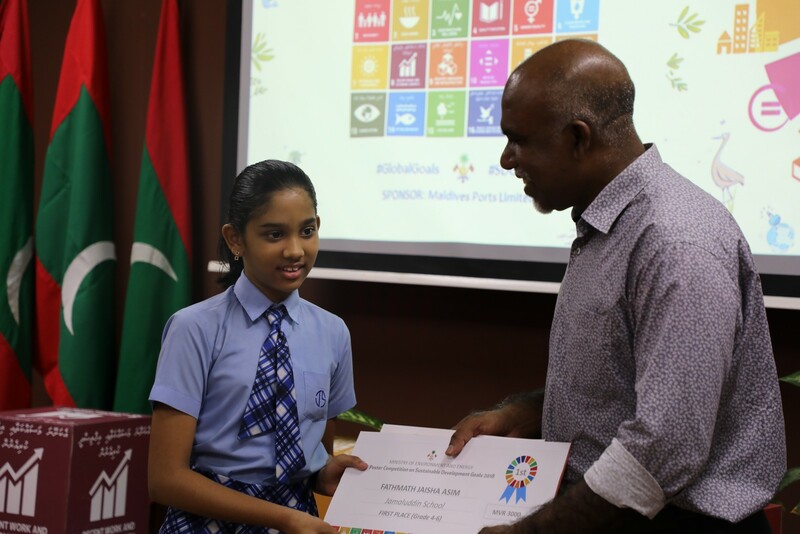 In grade 4-6 category, first place was achieved by the student of Jamaaluddin school, Fathimath Jaisha Asim. 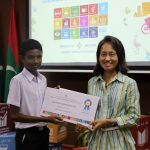 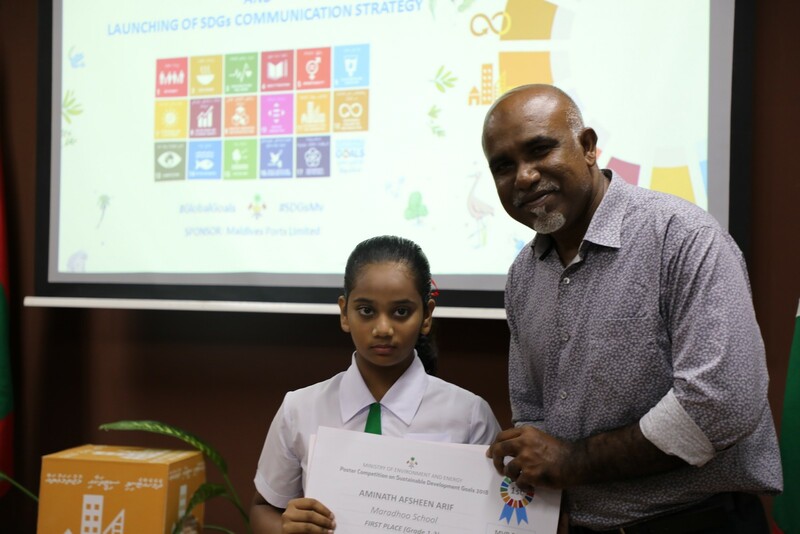 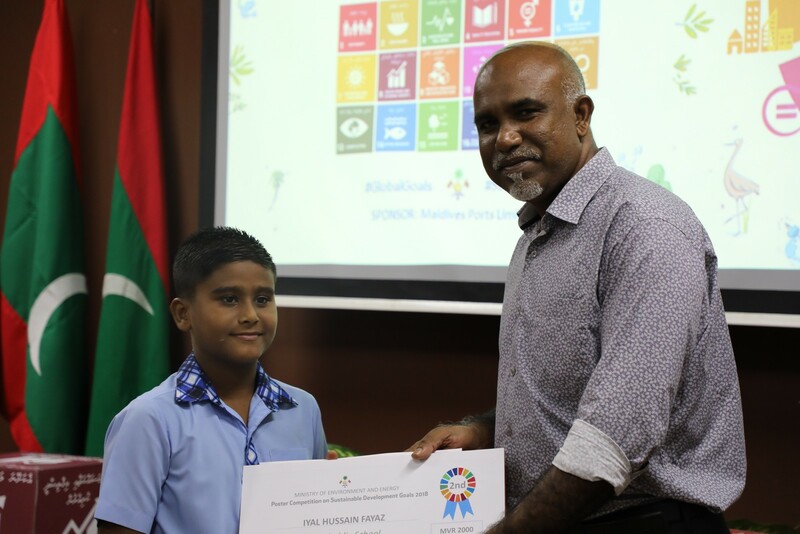 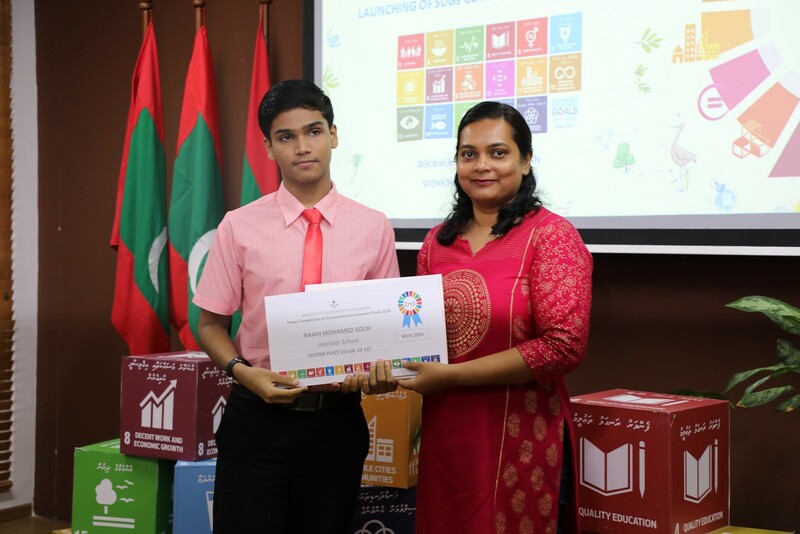 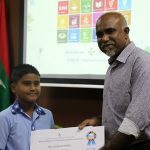 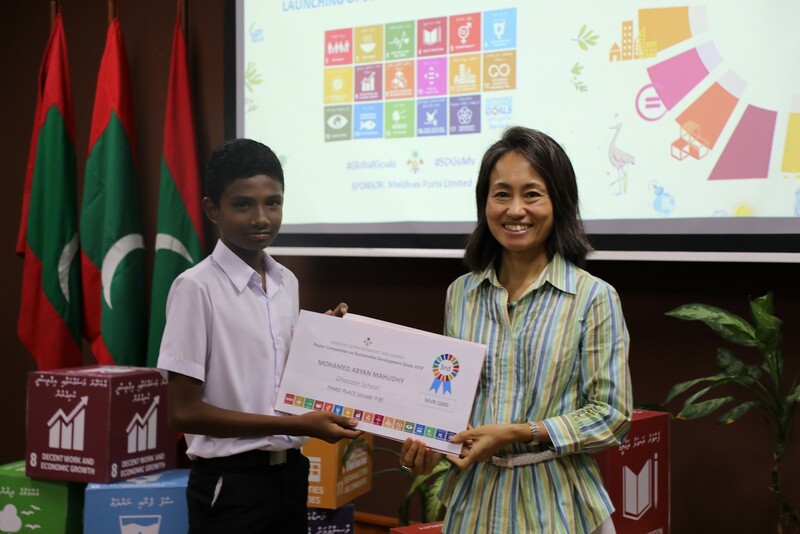 The second place was achieved by Iyal Hussain Fayaz of Jamaaluddin school and the third place was achieved by the student of Aminiyya school, Mariyam Shaarath Shareef. 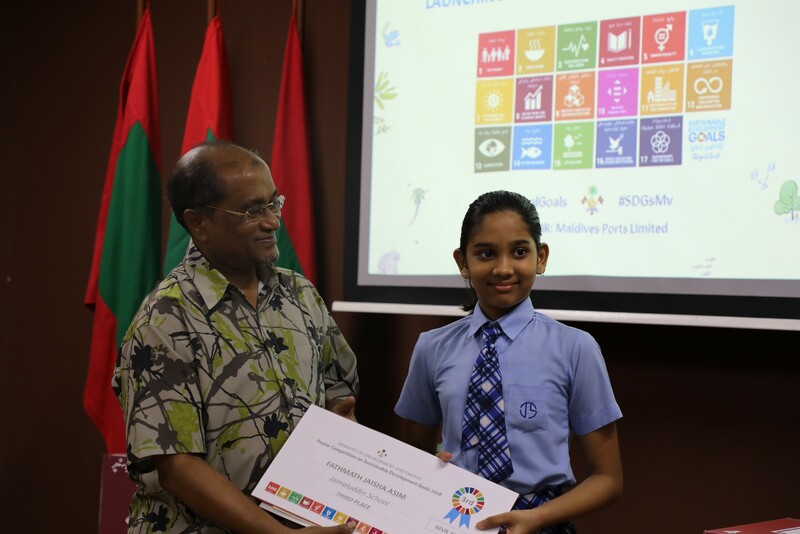 In grade 7-9 category, first place was achieved by the student of Aminiyya school, Mariyam Shahiha Ahmed. 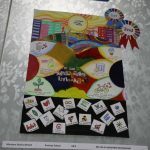 The second place was achieved by the student of ADH. 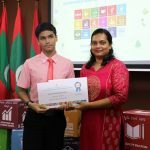 Dhigurah school, Hawwa Anoosha and the third place was achieved by the student of Ghaazee school, Mohamed Abyan Mahudhee. 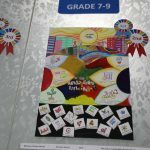 In grade 10-12 category, first place was achieved by the student of GN. 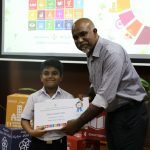 Atoll Education Centre, Aishath Saba. 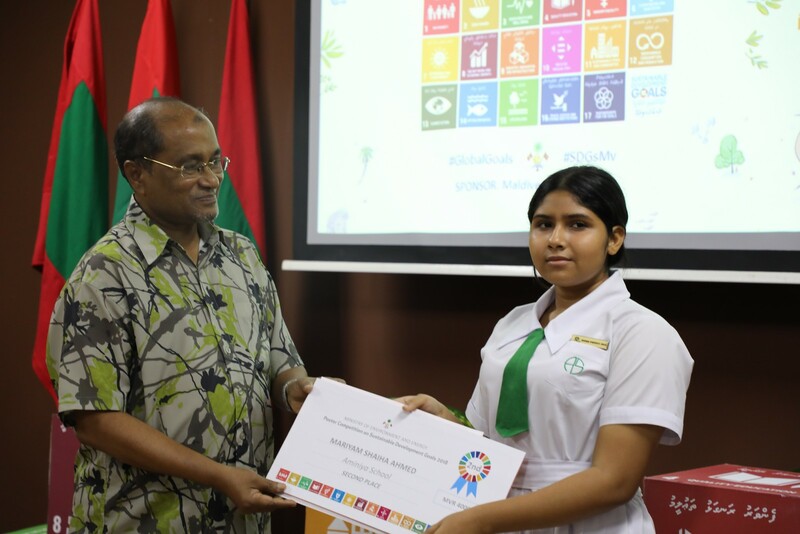 The second place was achieved by the student of Iskandhar school, Naaih Mohamed Solih and the third place was achieved by the student of GN. 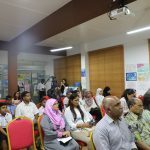 Atoll Education Centre, Aminath Aish Hussain. 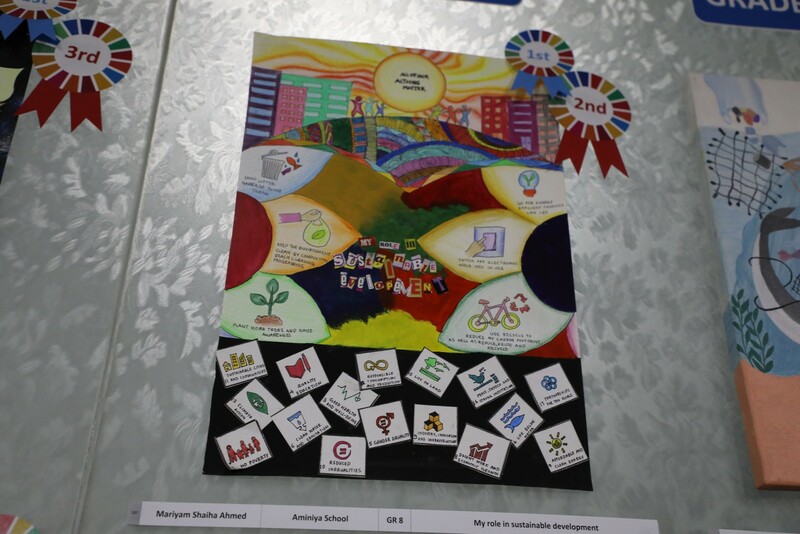 The first place of the competition was achieved by the student of GN. 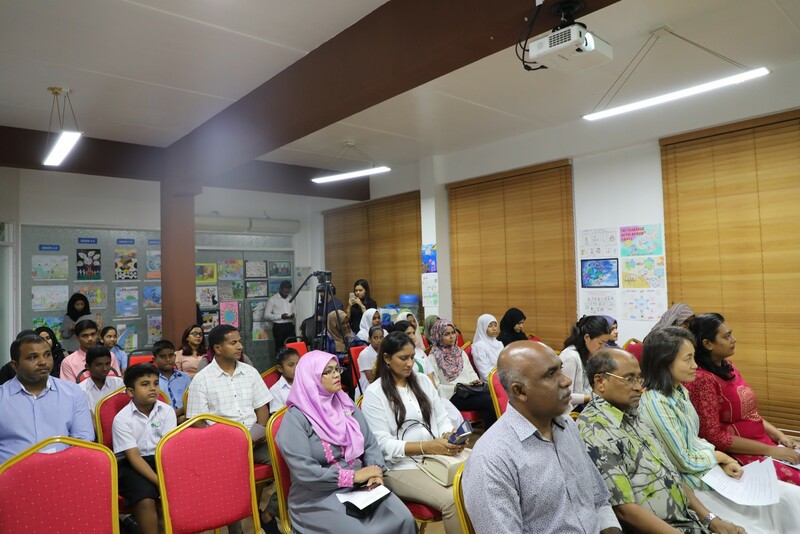 Atoll Education Centre, Aishath Saba. 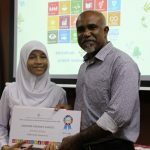 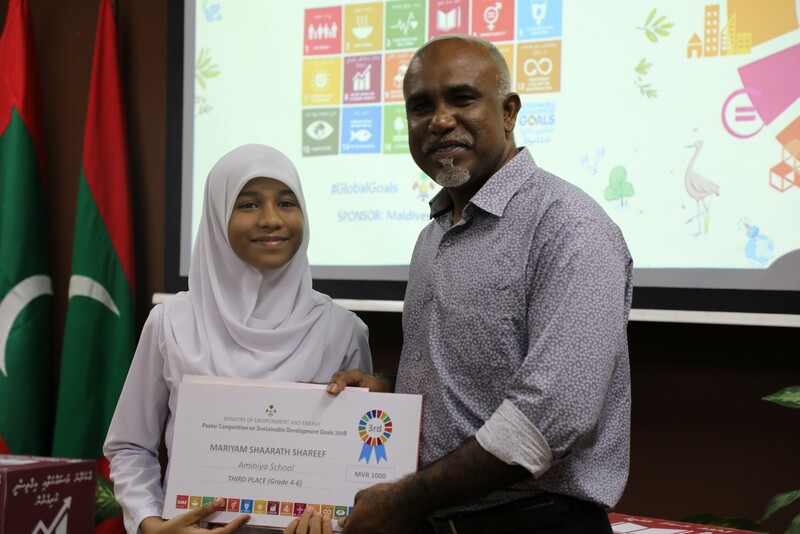 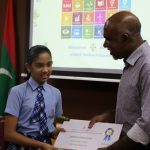 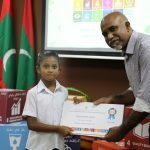 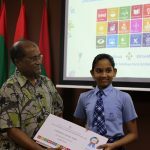 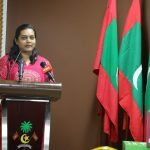 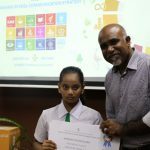 The second place was achieved by the student of Aminiyya school, Mariyam Shaiha Ahmed and the third place was achieved by the student of Jamaaluddin school, Fathimath Jaisha Asim. 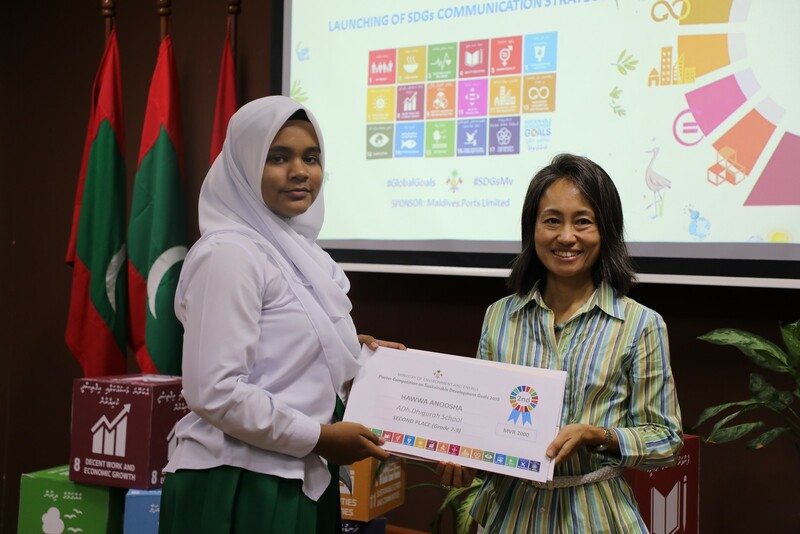 The objective of launching ‘SDG Communication Strategy and Action Plan 2019-2023’ was to create awareness among civil societies, private sector, Media and others on SDGs and to engage them in achieving the SDGs by 2030. 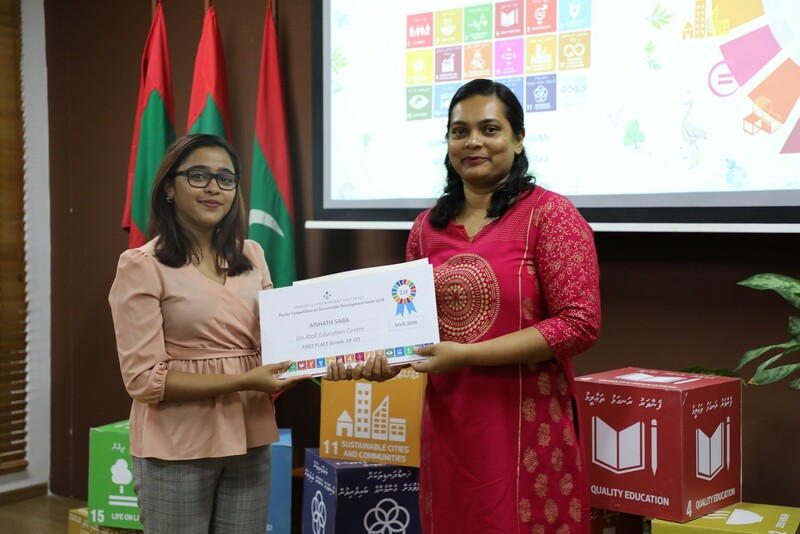 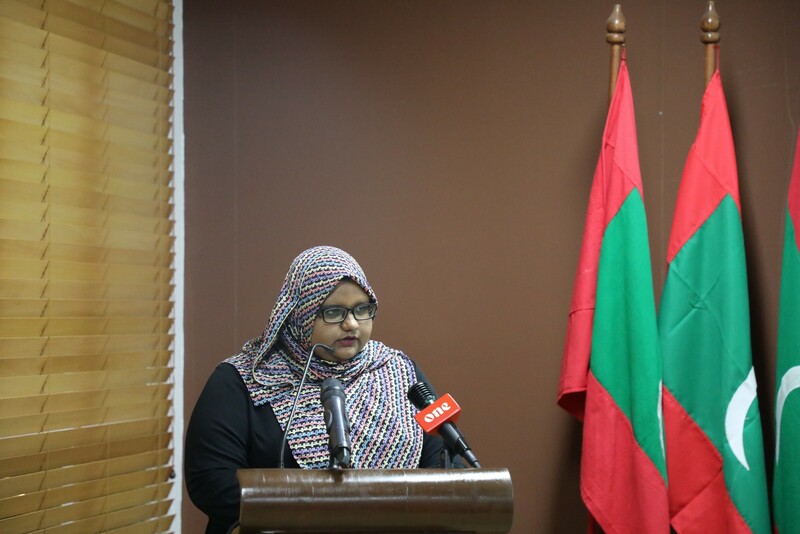 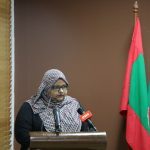 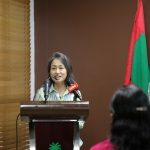 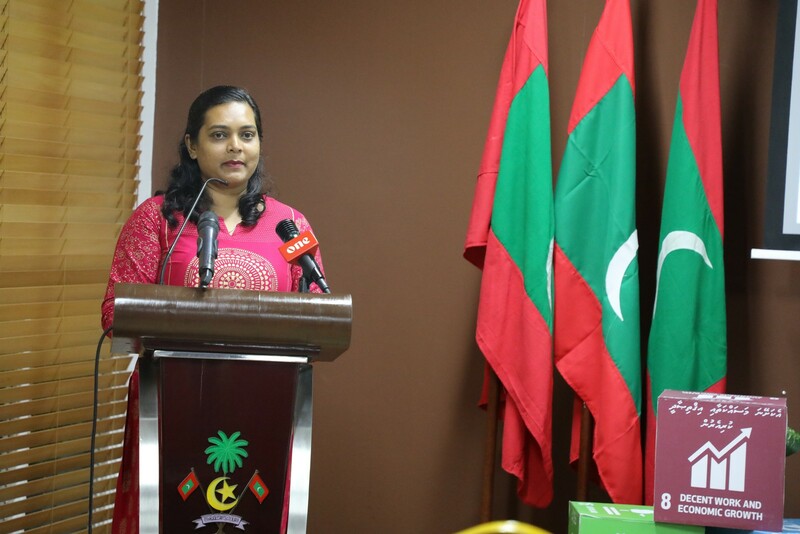 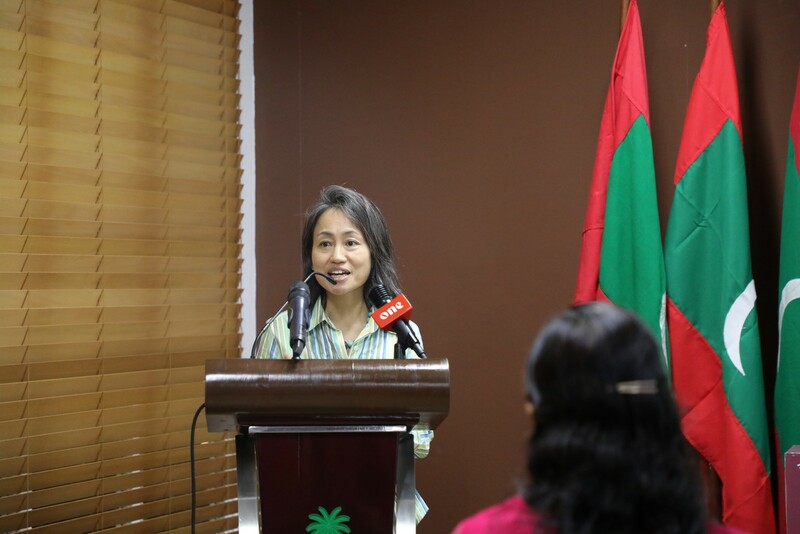 ‘SDG Communication Strategy and Action Plan 2019-2023’ is available for download on Ministry’s website www.environment.gov.mv .